Let’s face it. Sometimes writing is a struggle. Sometimes it feels like the whole world is against you, that it is full of people putting you down, of people telling you that you are not good enough. Writing is a highly competitive world full of uncertainty, rejection and evidence that it’s practically impossible to get noticed or to make your stamp, even in a modest way. Writing is hard; it takes a lot of effort, it takes study and practice. It’s an emotional struggle, it’s tiring, frustrating and can be an utterly thankless task. Sometimes you’ve got to fight for your right to write because the writing journey is littered with obstacles that you have to overcome. Let’s look at some of the most common battles you might find yourself up against when you write. 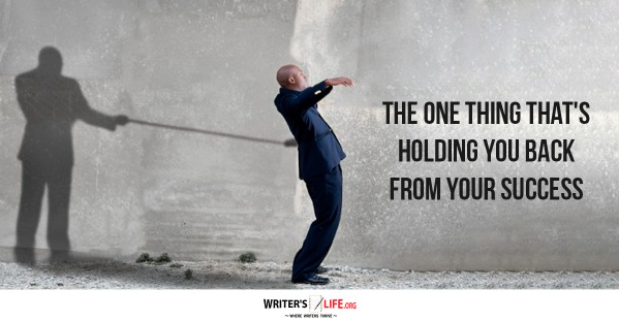 Writers can often be the very most significant obstacle to their own success. Self-doubt can infiltrate every part of the writing process, causing all sorts of mayhem. From writer's block, procrastination and self-sabotage to writers envy and becoming such a perfectionist that you are unable to let your manuscript go; it can be a constant battle against your own inner demons to keep writing and get your work to the point where you can share it with the world. Every writer that has been brave enough to put themselves out there will have faced their share of criticism. Whether that comes in the form of a rejection letter or email, a bad review or simply someone saying something less than positive or encouraging before you’ve got your manuscript finished, your critics can be tough to overcome. The way the writing world is set up isn’t exactly friendly to the very people it’s supposed to be for. The competition makes it virtually impossible to land a traditional publishing deal or to get your work noticed if you choose to self-publish. There are so many stories out there it’s hard to be original, and no longer is it just about being a talented writer, you have to be a savvy marketer and competent social media manipulator too. 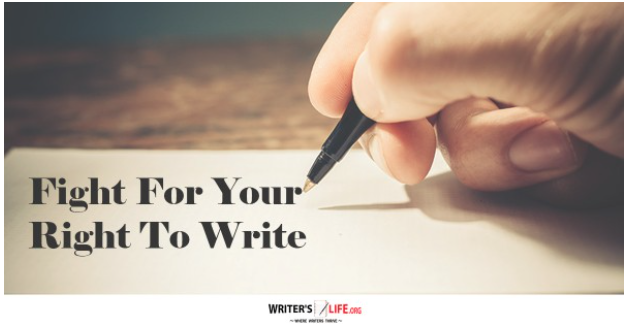 Getting over the numerous obstacles that litter a writers path to success can be tricky, and that's why many would-be writers just find it too difficult to continue. If you do manage to keep writing, to keep going into battle in spite of everything you should be proud of yourself. So why not celebrate your bravery? All writers should rejoice in the fact that they are following their dreams, that they are fighting for their right to be heard, to have their say, and to get your stories out there in the world. As I have said in previous posts this month, it's trying to end the WIP that has been a challenge as well as trying to title the story. I now think I might wait till I finish to come up with the title, though I have been writing down some possible title ideas, all of which have to do with teeth. Some of them contain the phrase "Metal Mouth," and other contain the word "teeth." Looking at what I have written thus far, I see some subplots I have not resolved, but now I know those can be left open-ended. Though I get some feelings those I let read my WIP will ask "What happened to..." One girl wanted to know what happens to the neighbor's great-niece who is a nemesis of the protagonist. I won't tell everything right now, but the great-niece goes to another school. Another thing I was told by the girls who read my WIP was to try to put some positive spins on some of what has already been written. One suggestion I won't say here, because it will possibly spoil the end of the book 😉, but I think I will try to take it. I have done more work on the book since letting the others see what I had done when I let them read it, and will let them read the rest when I feel I'm done. ..and if I want to use some of the ideas I have for a sequel book. Again, it's thinking too far ahead, but I like the idea of not having to cram so much into one book. And I think I will try to do avoid doing just that. But I still need to know where to end the one in progress. And that is as hard as finding a title. I just let some of the other clients at work read what I had written so far and received some good feedback. One said there was a good balance of negative and positive, and another suggested putting some positive spins on some of the story elements. They seemed to understand the YA genre better than my mom's friend seems to have done 😀 Or is it Middle grade? I'm still confused on that classification. The protagonist is currently 12 and some of the ideas I have is to have him face becoming a teenager. This could easily be another book, since right now the focus is on him adjusting to wearing braces. Subplots in the WIP include taunting by the mean girls at school and a school play, namely Romeo and Juliet. This is where I'm trying to put the focus on the current work. It seems that the idea of another book would be a way not to cram a lot into one book. Here are the words and a photo for this week, at Elephant's Child's blog. Looking out the rather thin window from the lake house, the lonely wealthy man saw the fog over the water. It made him scratch his head, figuratively, while inquisitively glancing at the fog. He did feel fearless enough, however, to want to go out to the water, despite the fog. While continuing to look outside, he heard a crash in the kitchen near the stove. Frightened, he looked behind him to see the thin flowery vase had fallen into the space between the stove and the refrigerator. He was devastated. He'd gotten the vase at such a high price at a zoo gift shop. He tried to move the unwieldy refrigerator but was unable to do so. He tried not to get sulky about it, though. It was a price he had to pay. He then looked out the window again, then sat down. 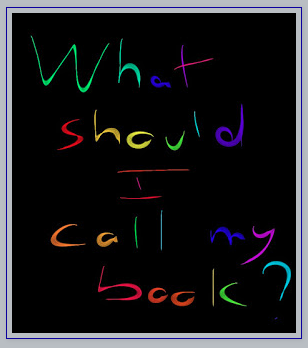 Two things I'm still trying to do with my diary novel, come up with a conclusion, for now (and possibly begin another book on the same character, with another focus--more on the another time), and most trying of all, finding title for the book-in-progress! I'm now thinking that using the phrase "Life Behind Bars" or "Behind Bars" or any other variation thereof might just be too misleading, making some people think it's about prison. Though some have said that the "Behind Bars" idea sounds all right, I'm not too sure about using it now." Teeth Behind Bars" or something containing that phrase might be a little less deceiving, so there is a possible title naming idea. 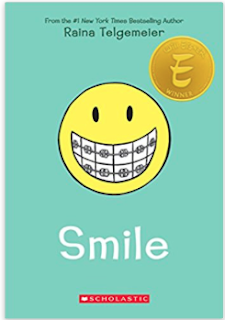 In this post, I said how "Smile" was suggested a possible title, and how I quickly that a graphic novel with that title that is on the subject of getting braces already exists. Even though the title isn't copyrighted and could very well be used again, I felt it would be too confusing to have two books with the same title on the same idea and set n the same era, though it could be done. I just want to find something different, something that reflects the protagonist's anxiety over having to get braces and his subsequent adjustment to his newly acquired orthodontia. Someone on a Facebook group I post to said she would call such a novel "Brace Yourself," but that seems too over-used and too obvious a title for such a story. One of the protagonist's fears is being called cruel nicknames such as "Metal Mouth," which I have also been trying use to formulate a title. I looked up the phrase "metal mouth" on Goodreads and could only find one book with that phrase in the title. The search without quote marks yielded only four results, only two of which contained both the words in the title. It is now surprising that such a phrase has not been used much in book titles. These days, more and more children are going through that rite of passage known as getting braces. Now they can chronicle the experience in this very hip, very cool, and very original journal. Created by bestselling author Dan Price, this beautifully designed guide is entirely hand-lettered and drawn, and captures every moment, from the first appointment to that blessed day when the orthodontist says “All done!” and finally removes the braces. 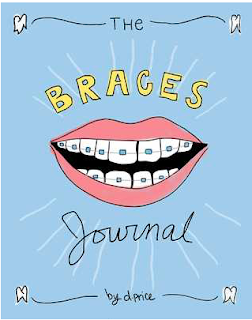 It has space for before and after photographs, room to track orthodontist visits, “Fun Facts” pages, suggested “Books to Read,” the dreaded “Forbidden Foods” list, and fun illustrations on “Troubleshooting” common problems with your braces. This is an all-around great gift! Still trying to find a title. 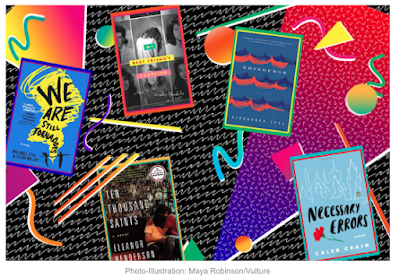 How Do You Capture the 1980s in Writing? Since I am writing something set in the 1980s, the decade I grew up in, I was glad to have found this post. Alexander Chee: Edinburgh tracks a boy’s long journey forward from a youthful trauma in the ’80s. Caleb Crain: Though Necessary Errors is set in Prague in the years 1990–91, it has 1989’s Velvet Revolution in the rearview mirror. Eleanor Henderson: Ten Thousand Saints follows an adopted druggie teen who discovers the straight-edge punk scene of Manhattan’s Lower East Side in the late 1980s after a personal tragedy. Grady Hendrix: The lurid thriller My Best Friend’s Exorcism uses the moral panic over “Satanic” metal bands in the ’80s as the framing of its demonic tale. Michael Kun and Susan Mullen: Their highly anticipated We Are Still Tornadoes, set in the summer of 1982 and told in a series of letters, tackles the relationship of Cath and Scott, who grew up neighbors and find themselves adrift after graduating from high school. All of these sound good. I now want to read some of them. 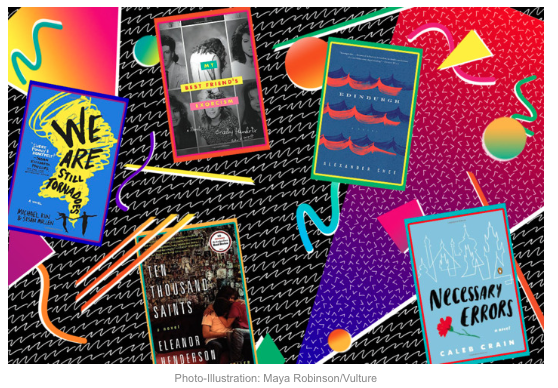 It's so easy to get tempted by books just by reading about them on blogs. One of these books is told in letter, the format known as the epistolary novel, which was what I was looking for to begin with. I was never a fan of most heavy metal music, but such music is definitive of the '80s. As is the punk scene mentioned in the plot of another of the books in the post. Earlier this week, I mentioned two references I'd made in my book-in-progress that some people may not remember, but that they fit well into the plot. 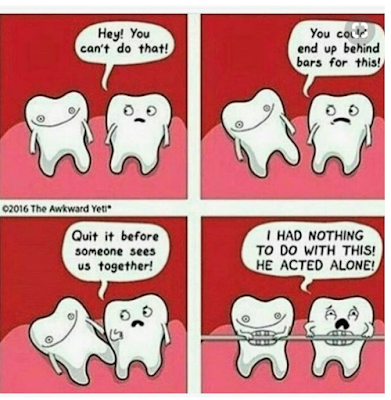 The plot is about getting braces, the before and after, something I cannot seem to recall ever being told in a story. This was one of the reasons I choose this plot line. It was something that carried a stigma back in the 80s and in the decades before. It was not unusual for kids to get teased for their orthodontia, one of the things that Martin, the protagonist of my book, is fearing as he nears getting braces. It was also something I had been wanting for years to write about in a book, so one set in the 1980s seemed appropriate (The graphic novel Smile is the only book I can recall that told a similar tale). And I wanted to try the epistolary format, namely in the form of a diary. I have seen characters with braces in books, but in most such books, it was just a detail, not a major part of the plot. I do think this is one way to recapture the decade in a novel. Another reason I choose to write about the 1980s was to hope to get readers to see what life was like before cell phones and the Internet. Does anyone remember using The Readers' Guide to Periodical Literature to look for newspaper and magazine articles on different topics for research papers? This was something I used in my story. (It also came up in my memoir). This maybe a better-known reference from that decade. I had also been toying with the idea of writing a YA/MG novel, and was finding it hard to formulate fiction around the current technology. And I read a lot of historical fiction, and this is the perfect decade for me to write about. Those of you who have written stories, when you make references to other works, such as TV shows, books, movies, songs, etc., have you ever referenced anything that may seem obscure to some people? Or have you encountered such a reference that you needed to look up? It has occurred to me that did just this in my book I am currently working on. In fact, two obscure references in one chapter. Earlier this year as I was looking through the TV Guide, I noticed a listing for a show on some cable station about dentistry. One night it said that Kim Fields, the black girl from The Facts of Life, would be talking about braces on that night’s episode. She has been wearing them for some time now. In real life, not just on the show. Again, I hate that show because that one girl is named Blair, so I don’t know if I would have watched this dentistry program if we had cable. If I could go on TV like that, I’d say how much I hate having braces. I do not for sure know what cable channel or program it was, but I do recall seeing such a listing in TV Guide one summer night night back in the 1980s, the setting of my novel. 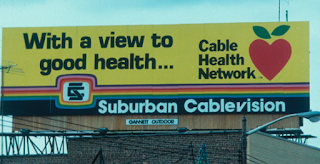 Though I did not have cable at that time either, I do think it may have been the Cable Health Network, an early cable channel that was the precursor to the long-running cable channel Lifetime, and a program called Dentistry Today. Both of these I do recall seeing listed in TV Guide back in the day. If any of you had cable then, does any of this ring a bell to you? billboard advertising the Cable Health Network. Even if this might not be a well-known reference, the recollection of the listing I had seen in the TV Guide just fit quite well into the story. Today I was looking through the books on my shelf in my bedroom coming across one I got from one of those book-order forms we would get at school each month. One was called Banana Twist. I’m not sure why I ordered that one. I never looked at it much until today. As I flipped through the book, I saw that the boy in this book has braces. Well , that’s good, thought. I should love this story. 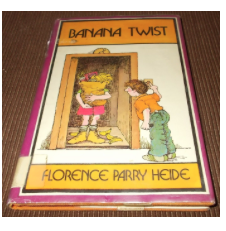 Again, I'm not sure how many people will remember this book, but I know I did have it and did get it from those monthly book order forms we always got in grade school (I'm sure many of you remember those things). I also recalled how the main character's neighbor noted that the main character had braces. I tried searching for a reference to this line in the book but was unable to find any. But I know I saw this, and again, this recollection went well with the plot of my protagonist's anxiety over having to get braces and his subsequent adjustments to wearing them. On a side note, I appear to have invoked the TV Trope "Your Television Hates You," with these two references, but with a book instead of TV in one case, and seeing a listing for a TV program rather than the program itself. There will always be something stopping you from achieving your desired success and until you acknowledge it, nothing will ever get done. This is the fear that you’re not good enough. Maybe while you were in school, you failed and that hurt your confidence and because someone told you that you’re not good enough, you start to believe them. You give into their rationalization and settle for a safe job and a mediocre life because you don’t want to get out of your comfort zone and fully explore what’s out there. There are many fears you can have while you’re chasing your dreams. This can include the fear of failure, fear of success, fear of what others will think of you, if there’s a fear in the world, you can relate it towards becoming successful. Fears are excuses as to why you’re not successful. You’re the person who is believing those fears and almost always, they never come to fruition. I get it, trying to become successful isn’t going to be easy but you have to start somewhere. The second you decide to start, you will be further ahead than the person who is still letting their fears get to them. Understand that when you put in the work, you will develop confidence. This is the confidence ofyou taking action. There’s no reason you should believe in yourself when you’re not taking actionand it’s ludicrous to think you would. You don’t have to accomplish every task in the entire world. Your empire is built over time and not through the course of a day. Remember, Rome wasn’t built in one day. It takes time to become successful. It’s through the day-to-day grind that you become resilient to whatever fears you had beforehand. Next time you start to find yourself doubtingyourself, take action! I had been planning to rework what I have so for written on my novel this weekend and finally did so last night. I'm still uncertain how to end it, because I have several ideas in mind that I don't want to cram into one book. Therefore, I can almost see another book in the works. More on this another time. I had to push myself to begin to work on my book last night. Often I'll get ideas in my head, but never get them down. I can remember many times when I have done this and eventually forgot the ideas. Or started writing them without ever finishing or forgetting the whole thing altogether. I have an idea for my new book that I'm not sure about using just yet. I may have another idea instead. I'm trying to decide, but it's taking me some time. But I know eventually I will come to a decision. I guess it just takes time, and the amount of time it takes for each person will vary. As I had done with editing the memoir, when looking over the diary, I continually found typos and sentences I wanted to change or words accidentally omitted. Now I want to try to end the book where I think it is appropriate to do so. I planned to email it to some of my fellow clients so they can read what I had written so far, but now I think I should finish it before sending it. And let them read my most recent revision. I had sent my mom's friend the previous version. This is another thing I'm having trouble deciding on. Making decisions like these is another thing that can hold you back. But I'm glad I got this one idea begun. If not, I may have forgotten it forever. and I was glad I had written down a dream I'd had two months ago. I still think I may use that one in the future. This one begins on May 1 and runs until the end of August. 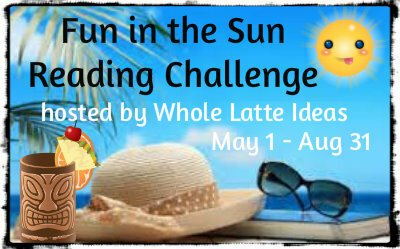 If you need ideas visit my Pinterest boards for spring books and summer books. I will also be compiling a list of summer book releases here on the blog. Please check back here for the link. It will be up shortly. Calling this one complete on August 28. Last book read on August 8. 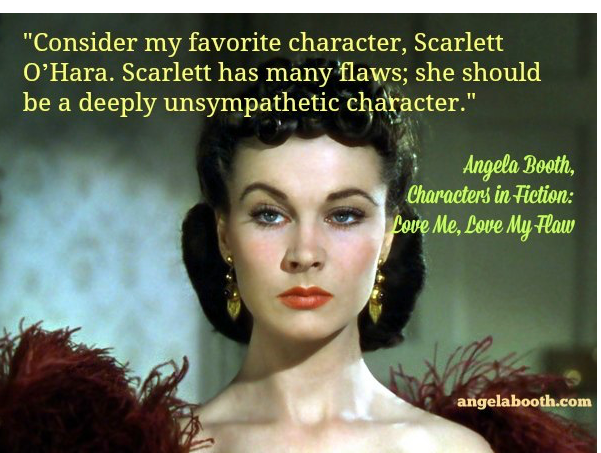 What Makes an Unsympathetic Character? I had not intended it to be this way, and this was just one person's opinion of what I had written so far, but when I let a family friend read what I have written so far of my '80s-set diary novel, she found the main character not to be very sympathetic. Again, I had not intended for it to be like this. She seems to see as him as "extremely cynical and always seeing the worst about every situation," "always whining about everything,"and that he seems to show no empathy towards others. Would characteristics like this fit the "Unsympathetic Characters" description below (from this site)? We seldom identify with unsympathetic characters as they represent those qualities that we dislike. Villainous characters are those who deliberately break laws, serving an often-selfish purpose in which others may well be harmed or abused in some way. They are the antithesis of the heroic character, embodying all that we find wrong. We love to hate villainous characters as they give us an outlet for the dislike we have of others in our lives. We also like to experience the schadenfreude (pleasure at the discomfort of others) when they are punished. Foolish characters are the opposite of wise characters. They lack knowledge or lack the ability to use knowledge to good effect. They are not the same as the Shakespearian 'fool', who is actually a very wise character. We throw our hands up in horror or laugh at the fool, and are perhaps secretly grateful that there are others who more foolish than us. The false character pretends to be something that they are not or deliberately tells falsehoods. They thus embody the socially distasteful deception and untruthfulness that heroes abhor. Like villainous characters, we like to see the false being exposed and receive just treatment. False characters may also remind us of our own guilty shortcomings as we navigate truth to our own ends. Selfish characters do things for their own purpose and may well be careless and callous about how others are affected by their choices. Audiences are shocked at selfishness that goes beyond socially accepted self-interest and find glee in these people reaping the rewards of their lack of care for others. We may also see ourselves reflected to some extent in the selfish person's limitations and feel some balance of gratitude that there are others who are selfish and anger that they are reflecting us. Animal characters are, to some extent, the opposite of human characters, displaying inhuman characteristics such as savageness and debauchery. We are shocked by such lack of even basic humanity and perhaps fear the possibility of such loss of self happening to us. Again, this is just how one person sees it. I'm sure others may see it differently. I'm only trying to write what I have seen in other YA/Middle Grade novels, trying to make the character seem angst-ridden. One must be familiar with the genre of books to recognize traits like those. I had no intention to make the character seem selfish. And "only seeing the worst about every situation," this seemingly came about as I intended to show angst often shows by characters in YA/MG books. Martin, the boy in my book, is apprehensive about having to get braces, since in the '80s and the decades before, such a thing was often stigmatized. He makes a chart of why he's looking forward to having braces (straight teeth) vs. not looking forward to it (being called "Metal Mouth," "Tinsel Teeth," etc., not being able to chew gum, having to wear headgear). [Note: I tried to copy the chart from my document, but was unable to do so]. Does this seem to you like he's being overly cynical and only seeing the worst of the situation? The Younger Your Character Is, the Easier It Is to Create a Flaw Which Works. I feel the younger the character, the more they have to learn and the more flaw possibilities. Consider the cattle baron’s only child, a daughter, comes home from her first semester of college and announces she is now vegetarian and the family are murderers. What’s her flaw? She’s immature and wants to fit in with her college boy friend’s group who are anti everything. The older a character, the harder it is to make him/ her sympathetic despite a flaw, because that flaw is part of the character. Few people change in any fundamental way once they’re in their 30s and beyond. Their character is set: that’s just the way they are. Your readers can empathize with a man who’s hot-tempered in his 20s, and gets in trouble because of that. Once he’s in his 30s, that flaw probably won’t work, unless he’s well aware of it, and is actively trying to change. I now seem to think this is what I have been doing, even if making an unsympathetic character has not been my intent. We all know that one of the most significant challenges any writer faces is trying to be original. There are so many books out there, so many stories, and we can’t help but be influenced and inspired by the things we have read ourselves. Telling a genuinely original story is difficult, some might even say it can't be done. However, to make our stories successful, they do need to say something that hasn’t been said before. They need to have something about them that makes them stand out from the crowd. So how can you make sure that you aren’t just writing the same old stories, ones that will get lost amongst the sea of the work that is already out there? Here are some tips and methods to try to keep your work fresh and original. There is nothing quite as powerful as your intuition to help you make the right decisions about your work. If you are following your gut and your instincts, you’ll know when you are being lazy or not pushing yourself creatively. Always listen to that and you’ll rarely go wrong and keep your work as unique and original as possible. 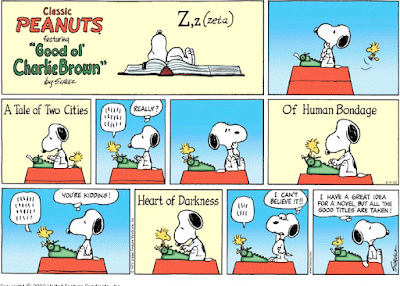 With every story, with every genre, there are sets of ‘rules’ that writers are supposed to follow. Be a daredevil and break a few of them - or at least push their boundaries, their limits. Do this cleverly, go too far off-piste, and you might confuse and upset your reader, but remember, rules were made to be broken after all. The more brutally honest you are with your writing, the more authentic it will be. Try keeping a journal to make notes of the things you have done, the conversations you have overheard, the things you have observed and use these in your writing. No one sees the world through the same pair of eyes as you do. Use your unique perspective to make your book different. 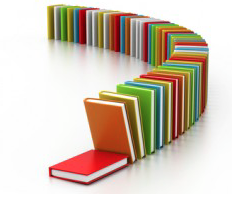 Throughout the writing process keep asking yourself questions. Don’t let yourself rest or be average. Always push yourself. Ask yourself how you can make that scene, that conversation, that setting more interesting, more exciting, more attention-grabbing. Keep asking yourself how your characters could be more unique, more unusual, more relatable. Do this before you start writing, as you are writing and after you’ve finished too. We are never going to get away from our influences entirely, and it is okay to ‘borrow’ some ideas from other writers. However, there is a very distinct line between letting what you’ve read and loved kickstart your writing and just stealing ideas from other writers. The former is OK, the latter is a massive no-no, and your readers will call you out on it every time. Trying to make your work stand out can be tricky, and scary. It might involve pushing yourself, even going to places that make you a little uncomfortable and taking risks that may or may not pay off. 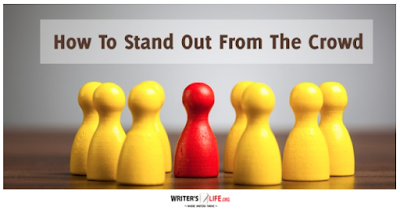 However if you aren’t willing to do these things your book may never get its chance to shine, so be bold, be daring and do everything you can to make your book stand out from the crowd, if you do the rewards could be incredible! This must have been what was on my mind when I was hesitant about writing a memoir about depression and being on Prozac when I was inspired to write about this after reading the best-known account of the iconic medication. I felt I was stealing the author's thunder. But I was soon convinced that everyone has a different story to tell. That more than one survivor of the Titanic, for instance, should be allowed to tell their story, not just one such person. As it says above use your unique perspective to make your book different, something I was told in the beginning I gradually realized that I wouldn't be copying others, that I was just being inspired by them. Depression is a universal problem and everyone has a story to tell, even if some of what they went through was similar, if not identical to, that which others faced. I have been working on the diary novel, but I'm not sure what really inspired me in that instance. I've read The Dork Diaries series, but have yet to read the Diary of the Wimpy Kid books. But my main character is starting to sound like ones in these books. I sent one of my mom's friends an email attachment of my story and she described the main character as being extremely cynical and unsympathetic, and "always seeing the worst in every situation." But that's just one person's take. My mom doesn't agree from what she'd read so far. I now need others to read this one to see what they think. Nearly every story has been told more that once, but your voice is what makes it stand out. This was a lesson I learned when I began deciding if I wanted to begin the memoir. Now maybe using the analogy of "behind bars" in my story title won't be so bad after all. 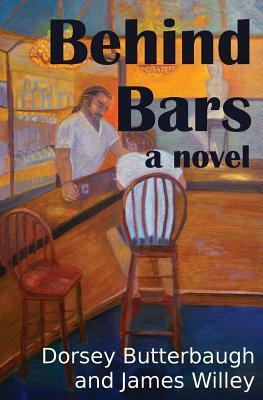 As I said in my last post, I have considered using the "behind bars" analogy in my title, but was worried about how misleading that title might be. Now I'm almost certain I will use that in the title, and was given the suggestion of using a subtitle to explain what the book is about. This article mentions titles that said to be misleading. 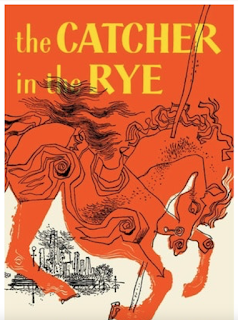 I now wonder how many kids assigned to read The Catcher in the Rye were disappointed to learn it's not a book about baseball. 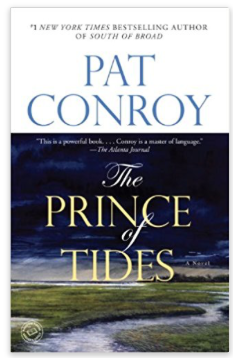 Strangely, the article didn't include The Prince of Tides. I can imagine some kids wanting to read that one, thinking it's about a surfer, then fining out otherwise. Titles that seem misleading to some people seem like fodder for gags on TV shows, with a TV character making an assumption about what a book is about just based on its title. Before I clicked on this one, and before reading the full title, I wondered if this one had to do with braces. Though I did not click on every single entry, a glance the list did not produce one book that used "behind bars" in reference to braces. Perhaps I am getting onto something. Have there ever been any titles that you have found misleading? 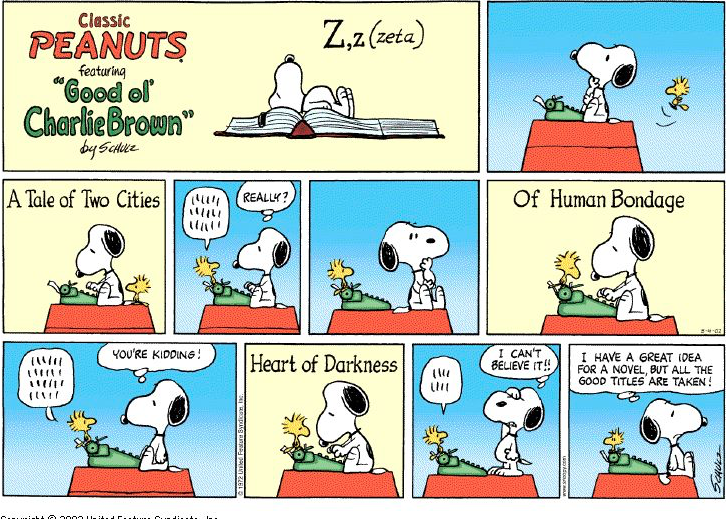 How long does it take most of you writers to find a title for your books? Do you dare try to think of something new and different or attempt to use a title that has already been used, since titles are not copyrighted? The last thing I titled was a nonfiction novel I'm writing depicting my struggle and recovery from my eating disorder. I know there are a lot of books out there about eating disorders now but everyone's story is different because everyone's struggle is different. I titled it The Battle Within. (This was exactly what I had been told about depression stories). In the new afterword to Prozac Nation, author Elizabeth Wurtzel says that "Prozac Nation is a great invention. It is a pity you cannot trademark a title. Alas. ..." I knew I could not use this title since it was so distinctive, but I still wanted to emphasize being on Prozac myself. I would have wanted to do the same for Paxil, Zoloft or any other antidepressant. And now I'm trying to come up with title for my diary novel. 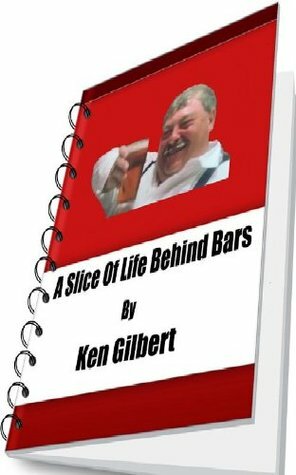 I have considered calling it Life Behind Bars, but am worried that that title might be too misleading, even though it seems catchy and is the title of one of the diary entries/chapters. 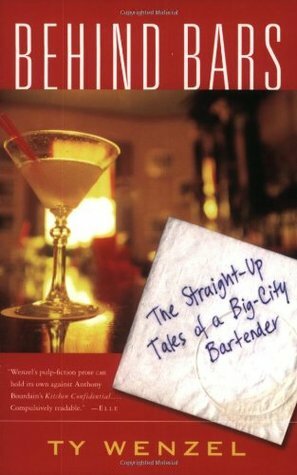 This title stumped a fellow client at work, making wonder what the book could about. Then I showed her the source of my title. 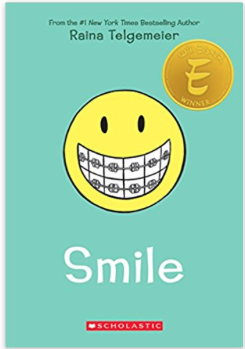 One suggestion I got was Smile, but I was quick to point out that a graphic novel with that title exists, and that the subject matter of that book is about a teen getting braces, the same as my diary novel. Again, the title is not copyrighted, but it would be confusing for two books on the same subject to have the same title. And smiling is less emphasized in my story. Rather anxiety over having to get braces and subsequently adjusting to them makes up most of the story. The character lists the things he's looking forward to and not looking forward to about having to sport orthodontia, with the negatives outweighing the positives. So I think Smile would not be the best title for my book. I now want to somehow use the "behind bars" analogy without sounding too deceptive as to the title's meaning.